Learn about the benefits of vinyl flooring with Tarkett flooring. When you’re considering flooring, you want to know what the best flooring options are for your family, right? You may have heard the big buzz about Luxury Vinyl Tile (LVT) or Luxury Vinyl Plank (LVP), but maybe you haven’t heard about Tarkett Flooring or Tarkett Vinyl Flooring. Tarket Flooring or Tarkett Vinyl Flooring falls under the resilient flooring category and more specifically under the LVT or LVP category. Made with a durable wear layer, Tarkett displays a high-res photo that looks identical to wood, tile or stone. Some may not even notice the difference visually between hardwood and Tarkett. Tarkett is a great flooring option to be installed on all grades of the home; basement, mid-levels and above because of its adaptable qualities and it does not expand or contract when moisture is prevalent. Kid friendly and pet friendly! If you’re looking to safe environment for your kids and family, Tarkett flooring and installation offers a great solution. Over 90% of our time is spent indoors and one in five people suffer from allergies or asthma. 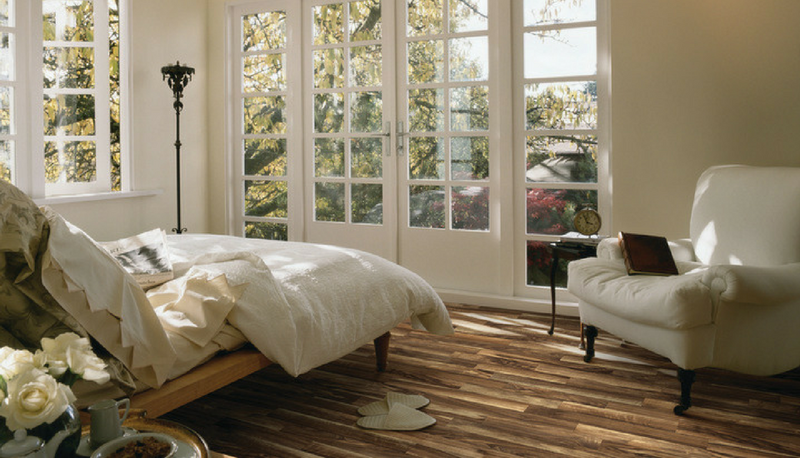 Many homeowners replace flooring or remodel their homes to prevent years of dirt, dust, and allergen build up. To prevent this from happening, Tarkett is CERTIFIED asthma and allergy friendly flooring, low VOC-emissions & FloorScore Certified. What does that mean? Tarkett has been scientifically tested and proven to help you breathe easier. Over 95% of allergens are removed with standard cleaning after installation. Low-VOC emissions promote healthier indoor air quality and are up to standard on compliance with indoor air quality. Learn more about our Healthier Living Installation process.